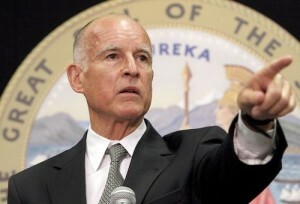 California Governor Jerry Brown, who signed the law in 2012. CHICAGO — Truth Wins Out is pleased today that the Supreme Court denied cert to a challenge to California’s ban on harmful, ineffective “ex-gay” therapy for minors. California’s law, S.B. 1172, was signed in 2012 and has been challenged in higher courts, the law being upheld each time. The Supreme Court’s decision to let the law stand protects California minors from quack doctors who value ideology over sound mental health care, and sets a strong precedent for challenges in other states. Truth Wins Out also extends thanks and praise to the National Center For Lesbian Rights, Equality California and the other organizations who worked to vigorously defend the law in court and in the public square. “Ex-gay” therapy is roundly rejected by all major medical and mental health associations, which state that the practice, sometimes known as “conversion” or “reparative” therapy, is ineffective at best, and can cause great harm to patients. Many who were among the most prominent spokespeople and apologists for the “ex-gay” movement have recanted their views and expressed deep sorrow for the pain their work caused over the years. Alan Chambers, who ran the now defunct Exodus International, admitted that 99.9% of those he encountered in the movement never changed their sexual orientation. John Paulk, who was once the poster boy for the movement, appearing on the cover of Newsweek in 1998 with his then wife, now is living as an openly gay man, and is doing the hard work of apologizing to those who were hurt by his work. Indeed, the only public “ex-gays” left seem to be those who are currently making money promulgating the “ex-gay” lifestyle. In 2013, the Ninth Circuit upheld S.B. 1172, rejecting claims that the law somehow infringed upon the free speech rights of therapists who wish to indoctrinate vulnerable LGBT teens into their anti-gay religious ideology. With the Supreme Court’s denial of cert, the law may now be enforced fully.